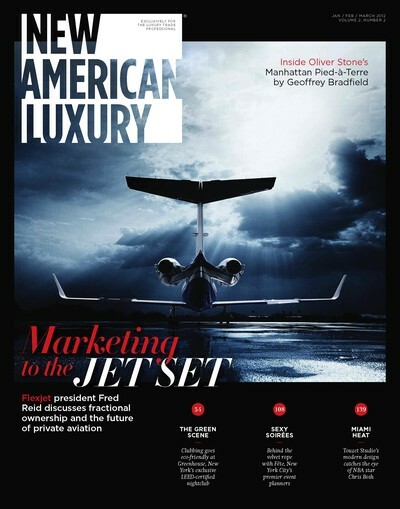 New American Luxury is the go-to source for high-level professionals in the luxury marketplace. We seek to define the new meaning of “luxury” for industry professionals working in this broad yet exclusive market. We feature a wide range of firms and individuals that exemplify excellence in luxury markets. We step outside the box to explore the relationship between traditional design and architecture sectors and those of the fashion, art, and product-design world. The magazine provides a platform for industry leaders to discuss challenges they face and the specific strategies they use for successfully overcoming them. The mission of New American Luxury is to inform and connect executives in the luxury-trade community. We provide a voice for each segment of this marketplace in order to further the dialogue on the future of this eclectic industry.